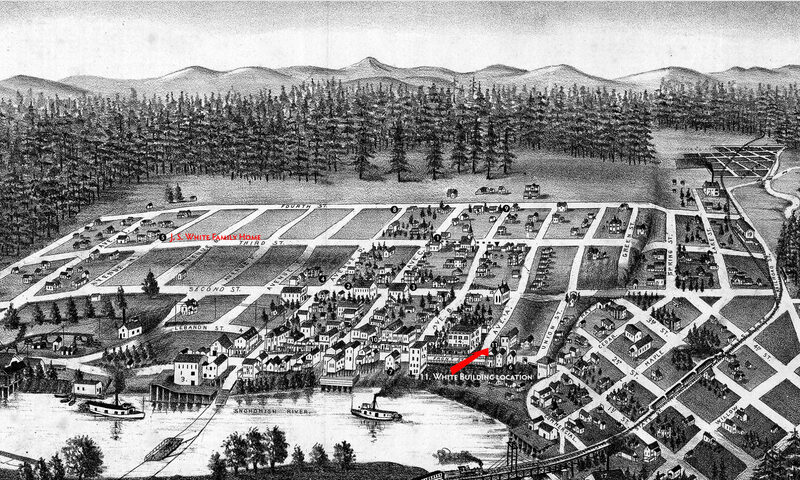 May is Preservation Month, celebrating the establishment of the National Register of Historic Places in 1973; just in time, to get the Snohomish Historic District on the register the following year. 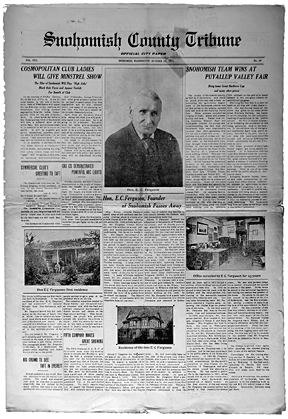 Reason enough to remember the founder of Snohomish, Emory Canada Ferguson, who “passed away at his residence last Saturday evening about 9 o’clock after a brief illness of a few days,” began the Snohomish County Tribune’s report of his passing on October 7, 1911. He was 78 years old and often affectionately referred to as “Old Ferg” in the press. Snohomish County Tribune, October 13, 1911. 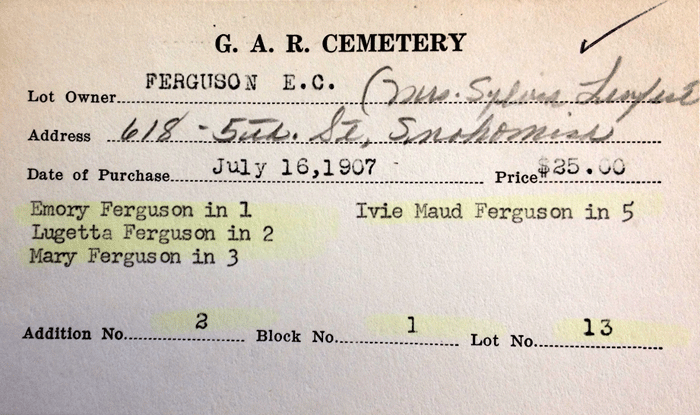 Reports the death of E. C. Ferguson on October 7th in his home located on the site of the Snohomish Aquatic Center. Click to download a pdf copy or visit the Snohomish Library to view the actual paper. 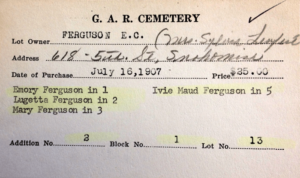 On Saturday, May 31st, I will be leading a guided tour of his family grave site, located in the Grand Army of Republic Cemetery (G.A.R. 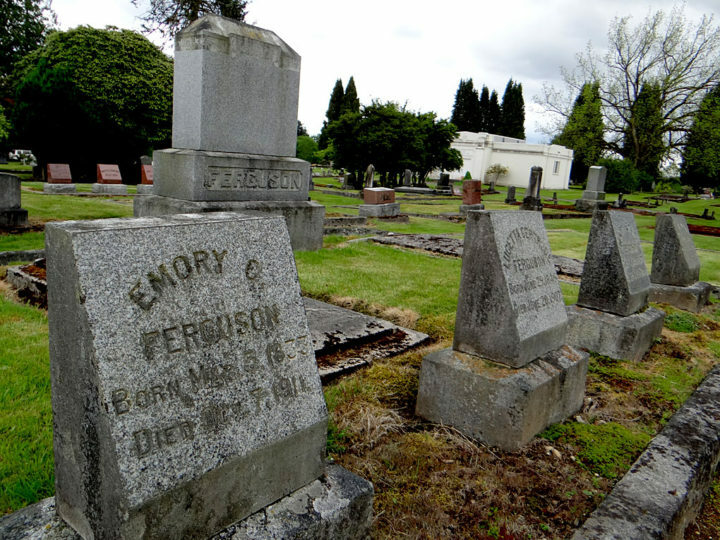 ), along with visiting the burial plots of several of early Snohomish’s leading families. Hope you can join me, after all, memories require preservation as well.